This wonderfully vibrant stick umbrella opens up to be very large providing plenty of coverage from the rain. A stunning top selling range consisting of beautiful floral designs with detailing and colours second to none. 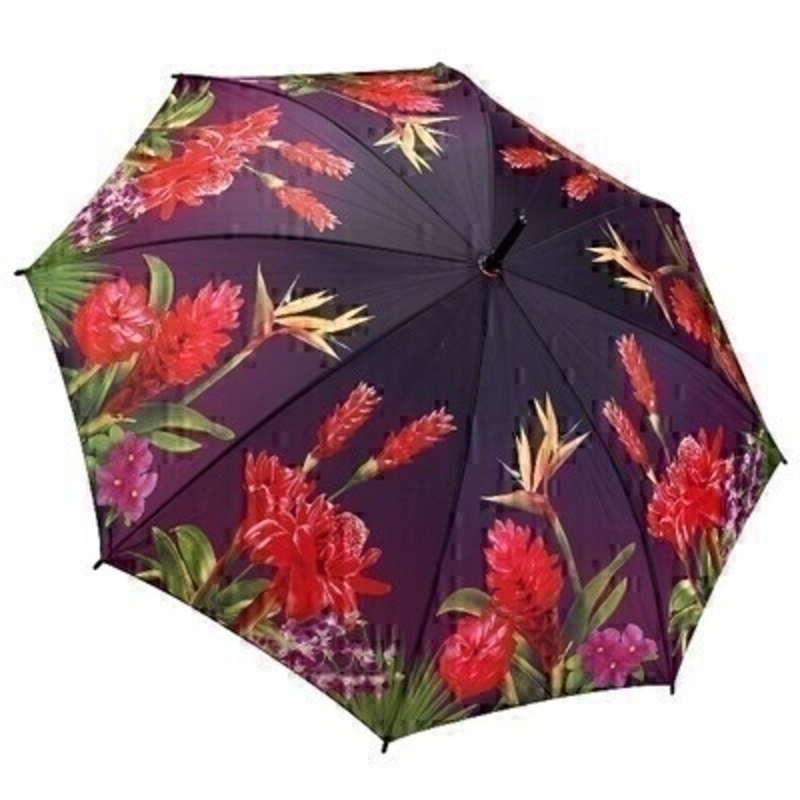 The illustrated design on the fabric features bright and vibrant tropical flowers covering the entire umbrella which makes it very eye catching! With virtually unbreakable fibreglass ribs it allows for flexibility in windy conditions.